Jamaica is home to Hanover Charities which was set up to help those in the Hanover community by collecting funds from wealthy visitors to the island. 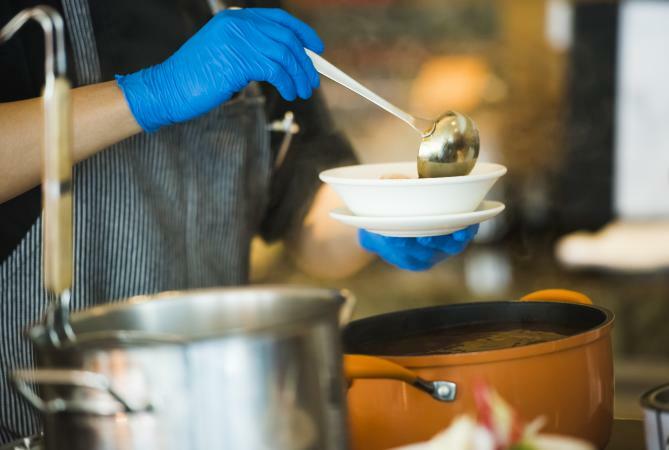 Hanover Charities works to raise money that is used to supply organizations with grants, soup kitchens, scholarships, and more. It is one of the largest charitable organizations of Jamaica. Hanover Charities started in 1957 and has been raising money for the needy ever since. The charity started small, in Jamaica, and at the hands of a single family. Willy De Lisser and his wife Ida would slaughter a cow each year at Christmas and donate the meat to hospital patients as part of their Christmas dinner. From there, the De Lissers began to find out who the neediest families in the community were and donated five shillings per adult in the family and one shilling per child. In addition to those shillings, they would also wrap up individual gifts for each family member. One year around Christmas time, a visitor to Jamaica, Mrs. Bingle, heard of the generosity of the De Lissers and made a contribution of her own, cash to help buy the food and other gifts. From there, the family and friends began rounding up contributions from other visitors. The goal was to turn the quality of life around for the people of Hanover, raising money through balls, carnivals, and providing the citizens of the community through soup kitchens, education, and more. One of their annual events is the Sugar Cane Ball. In 2008 alone, this formal event raised US $180,000. There's dancing, dinner, cocktails, and a silent auction. Pumpkin Bottom Settlement: This isn't an ideal place to raise a family due to the difficulty the inhabitants experience finding jobs. The difficulty partially stems from the lack of education there. Hanover Charities raised money for the Pumpkin Bottom community in 2008 via a polo match. The money's intended use is to build a school care and homework center. Westhaven Home for Disabled and Abundant Children: Here, the children got new clothes. Hanover Parish Library: To increase the children's love of books and therefore reading skills, a Children's Reading and Playroom was set up with the $7000 raised for them by Hanover Charities. It's used as a place for the children to go after school and they have storytelling time every week. Hanover Early Childhood Board: In 2008, they received 300,000 JA$, in grant form. The Hanover JFLL: This adult literacy program received 100,000 JA$ 2008. Increased literacy will hopefully make it easier for these adults to find jobs in the future, increasing their families' quality of life. You can attend the Sugar Cane Ball by visiting the fundraiser page. You can also donate an item for the silent auction by visiting the same Events page and clicking on the Silent Auction Donation button for more information. If the Sugar Cane Ball isn't your cup of tea but you'd still like to donate, you can visit the Hanover Charities donation page and print out a donation form.